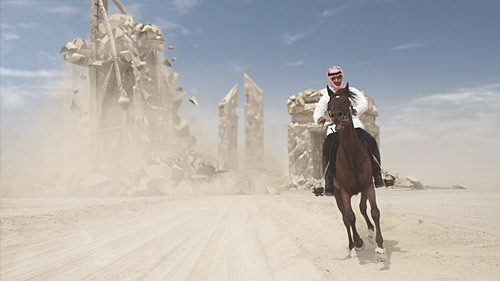 Dubai’s iconic buildings break through the desert plain. Each structure was created to look as if it was made from the earth it had risen from, the shattering effect was accomplished using a combination of plugins, hard body and fluid dynamics. And dust, lots of dust.